This episode was based on the short story 'The Kidnapped Prime Minister', first published in The Sketch in 1923. The story was adapted for television by Clive Exton and directed by Andrew Grieve. Exton makes several significant changes to the story (in addition to the obvious inclusion of Miss Lemon and the expansion of Japp's role). First, the action is moved from the Peace Conference at Versailles around WWI to a disarmament conference in the mid-1930s. The chauffeur's name is changed to Egan (still Irish), and the main culprit has a wife he has recently divorced, but who is later revealed to be in on the crime. The reason for the crime is Irish resentment of Britain; they want Germany to rearm. 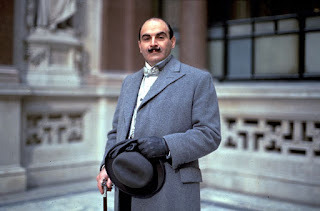 Second, Poirot and his fellow investigators never leave Britain for France (they get as far as Dover and then return to London). Instead, the search for the local hospital mentioned in the story is expanded. Third, Detective Barnes is replaced by Japp, who is frightened he might lose his job unless Poirot finds the culprits (reminiscent of The Double Clue adaptation). Fourth, a chase scene is added, in which Hastings tries to follow Mrs Daniels to find the Prime Minister. Fifth, Exton incorporates a new clue to the culprits, an address book found in Egan's bedroom, with 'Mayfair 2537', the number of Mr. Daniels, written down under the letter 'X'. Sixth, a subplot concerning Poirot's tailor and the size of Poirot's waste (see also Evil under the Sun) is included. There are several minor changes as well, like the fact that Dodge and Astair meet Poirot at the Foreign Office and not at his flat. Still, the adaptation works quite well and the changes are more or less understandable. Grieve makes great use of the Whitehall location, as Poirot walks to his appointment with Sir Bernard and Lord Astair (helped by the sound of the Big Ben, of course). There's also some nice opening shots at 'Charing Cross' (a set, probably). Locations used for the episode include St. Margaret's Bay (also used for The Clocks), the Dover Harbour Board Offices, Quilter Street (E1), used for the scenes outside Fingler's, The Foreign Office (obviously) and Ingress Abbey (used as 'Somerscot Hall'). The soundtrack for the episode is very appropriate, with small hints of Irish influences (again, the score is by Fiachra Trench in Gunning's absence. In terms of character development, there's a nice reference to Poirot's seasickness (which will be referred to in The Million Dollar Bond Robbery - and possibly The Big Four? ), and Hastings gets to drive his Lagonda. In terms of guest actors, they all do a decent job of conveying their characters. Due to reading this blog and ordering most of the adaptations that are on DVD, I have gone back and revisited some of the stories. One thing in this one jumped out at me...Poirot questions why the politicians have come to him since he is "unknown" in England. Christie wasn't always consistent about how famous Poirot was. But perhaps that would be realistic for a private detective: he doesn't advertise, and much of what he works on is covered up, but on the other hand he has "satisfied customers." So word gets around, but kind of an in underground way? I also like that someone "whose word was once law in Belgium" recommended Poirot in this story. Is it implied that it was a one-time king, now displaced? I suppose as it was set in WW1, it was very early on in HP's UK adventures?